There has been a castle on the site since 1170, and from the 14th to the 17th century the O’Carroll family ruled from here over an area known as “Ely O’Carroll”. 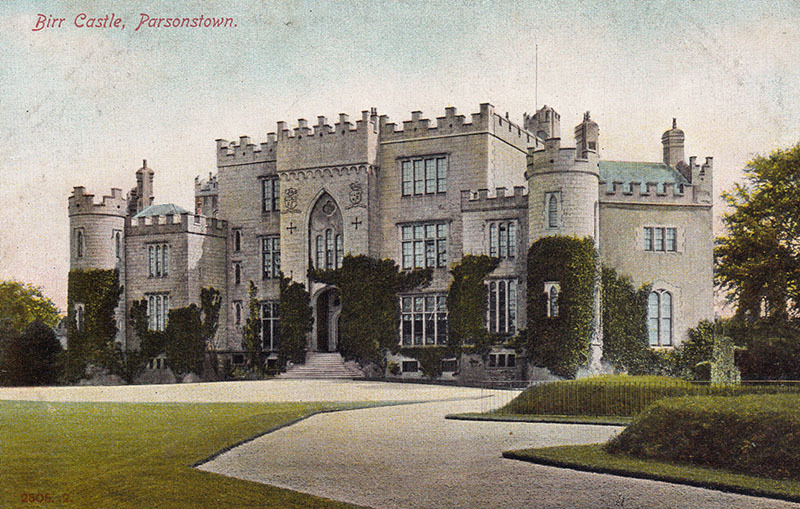 Sir Laurence Parsons was granted Birr Castle and 1,277 acres of land in 1620. He promptly engaged English masons in the construction of a new castle on the site of the O’Carroll’s gatehouse. “Flankers” were added to the gatehouse diagonally at either side, giving the castle the plan it retains today. 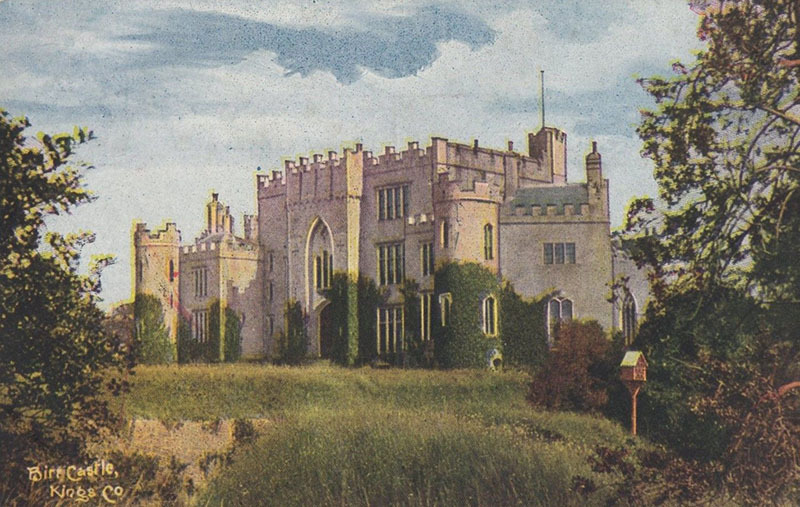 A later descendant, Laurence Parsons, 2nd Earl of Rosse, rebuilt the castle, heightened and “Gothicised” it in the early 19th century, to the building we see today. 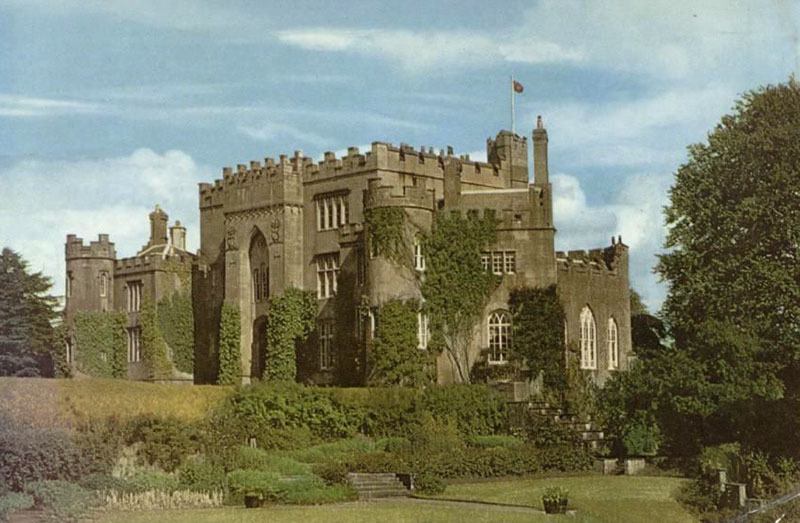 In the first decade of the nineteenth century Architect John Johnston helped Sir Laurence Parsons design Gothic alterations and additions to Birr Castle, Co. Offaly; but he seems to have been responsible for little more than working drawings based on the ideas of Parsons. William Parsons, 3rd Earl of Rosse, was responsible for the construction of the “Great Telescope” or Leviathan at Birr. When completed in 1845, it was the largest telescope on earth, and capable of capturing more light and seeing further into space than any telescope had done before.